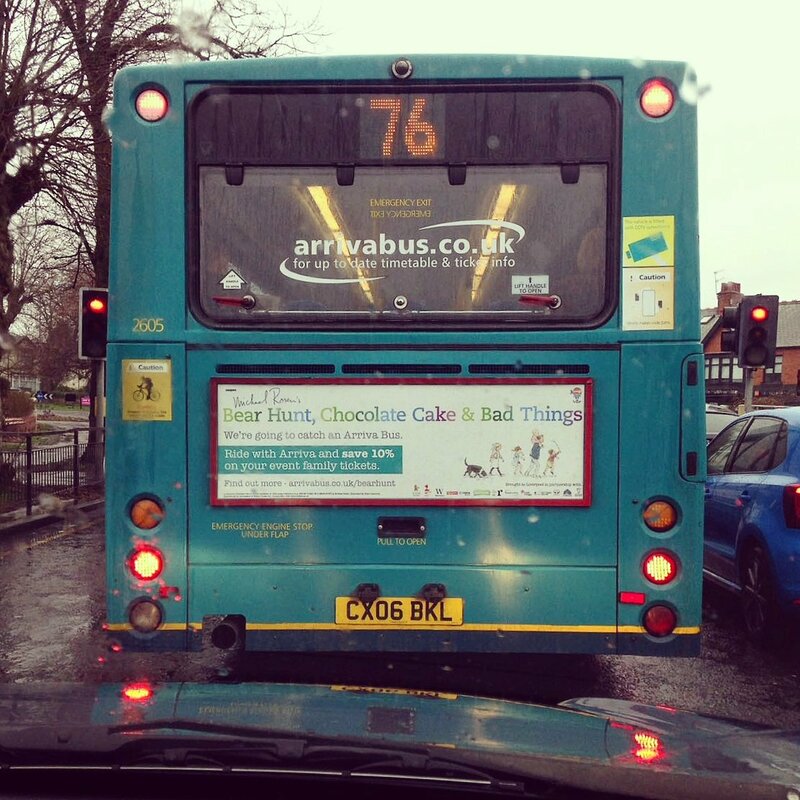 In partnership with The Reader and The Storybarn, Arriva North West are the official travel sponsor for the fantastic pop up event Bear Hunt, Chocolate Cake & Bad Things at Liverpool ONE until April 23. The interactive experience brings to life some of Michael Rosen’s most loved works, inviting families to climb inside a giant chocolate cake, explore the rooms of Rosen’s own childhood days and go on a bear hunt through swishy swashy grass and squelchy squerchy mud. In support of the event, located on Thomas Steers Way in the heart of Liverpool ONE, Arriva North West have kitted out some of their city centre buses with the Bear Hunt artwork, even bringing the bear paws into the bus to help little bear hunters find their seats. And that’s not all – if families travel to Bear Hunt, Chocolate Cake & Bad Things on an Arriva Family Saver ticket, they can claim 10% off a family ticket to the experience when they arrive. “We’re thrilled to have Arriva on board as one of the supporters of this project. By using their network to bring people from across the Liverpool City Region to the heart of Liverpool ONE, they are helping families who might otherwise not have the opportunity to see some of Michael Rosen’s wonderful stories come to life.